I love my tea. For me, relaxing is usually sitting with a cup of tea and having a quiet moment. Though I claim not to have a sweet tooth, I guess that’s not entirely true. I always have a batch of biscuits or cakes floating around somewhere. Let’s face it, it’s hard to have tea without something nice to eat. The weekends in our house usually mean recipe experimentation. 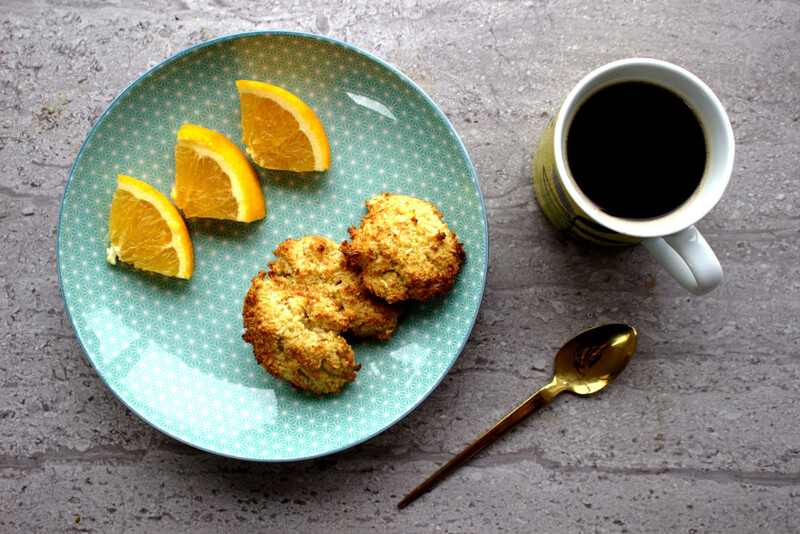 A few weeks ago, I made my first batch of these Coconut Orange Macaroons and I’ve been happily munching on them every since. What I love about SCD-baking is that I feel great about giving these healthy treats to my daughter, Ciara. She has a great appetite and being able to give her nourishing snacks makes me happy. Of course she has her fair share of treats in her grandparents house like most kids but at home we try to keep refined sugar to a minimum. Before I started SCD I really did not understand nutrition. I ate copious amounts of carbohydrates and far too few vegetables. My daughter isn’t on any special diet but at least now I know which foods are nutritious and which are not. 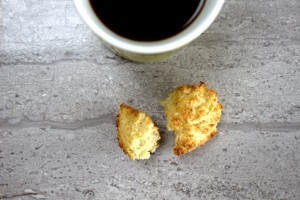 I was inspired to make these Coconut Orange Macaroons as I had been craving something sweet other than my usual muffins and biscuits. 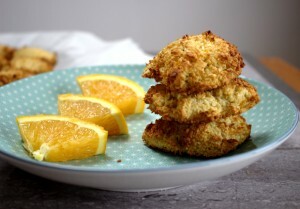 I love orange in desserts and the flavour comes through great in these. They were done quicker than I expected, just about ten minutes in the oven. The perfect, quick snack to satisfy your hankering for something sweet. My daughter and I love baking and enjoying these on a rainy Saturday morning. I can’t think of anything better! 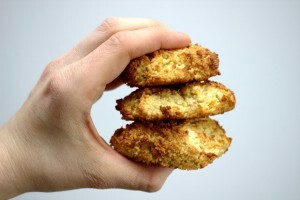 I even made my husband a batch of these recently to munch on in work during the week. Did I ever think he would eat my food, let alone request it? He was complaining that he had no healthy snacks in work and was telling me that the vending machine is full of junk food. I may have finally converted him, hooray :)! 2 teaspoons Vanilla extract* *Make sure there is no added sugar. Preheat the oven to 160°C fan/180°C electric/ 350°F or gas mark 4. 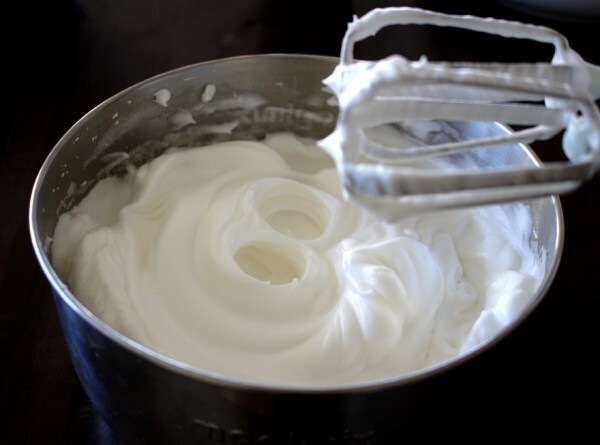 Whisk the egg whites in a bowl until you get stiff peaks. This took me five minutes with my electric mixer but will depend on your appliance. Next, add in the honey and mix for another few seconds. 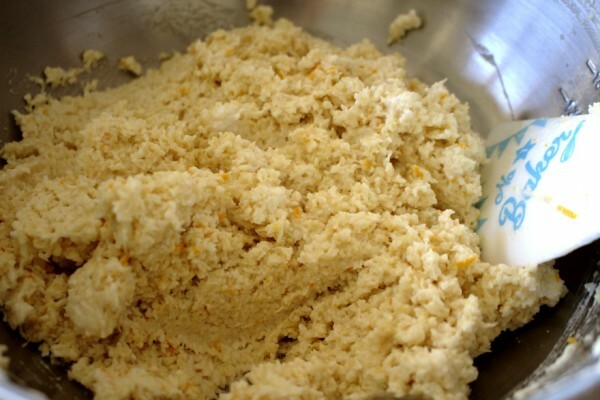 Then mix the almond flour, coconut, bicarbonate of soda, salt, orange zest and vanilla in another bowl. Fold the egg whites into the other ingredients and mix well. 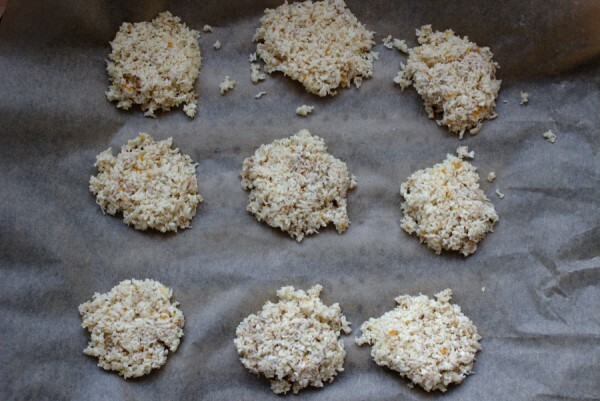 Using two dessert spoons, scoop the mixture into lumps onto a baking tray lined with parchment. Bake for 10-12 minutes until just golden brown.